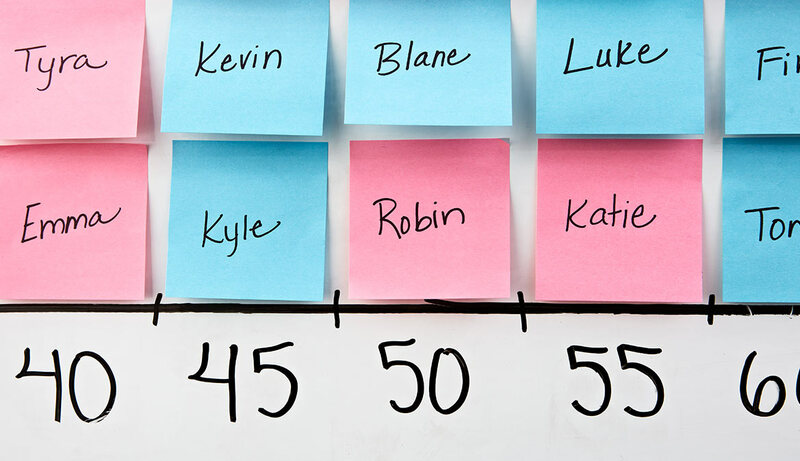 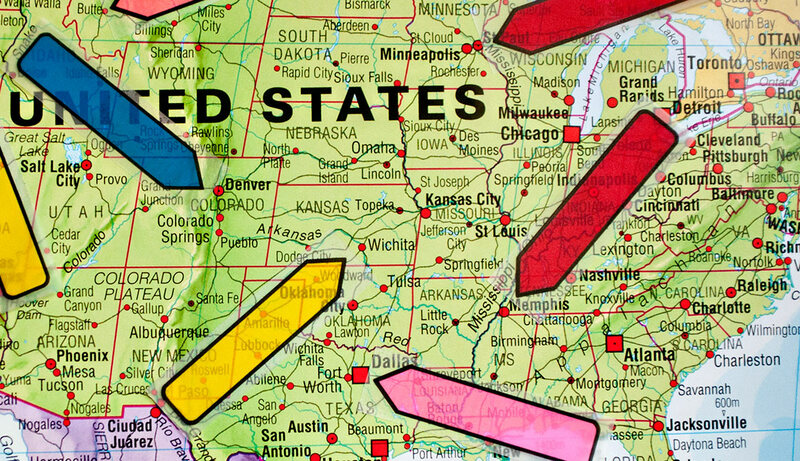 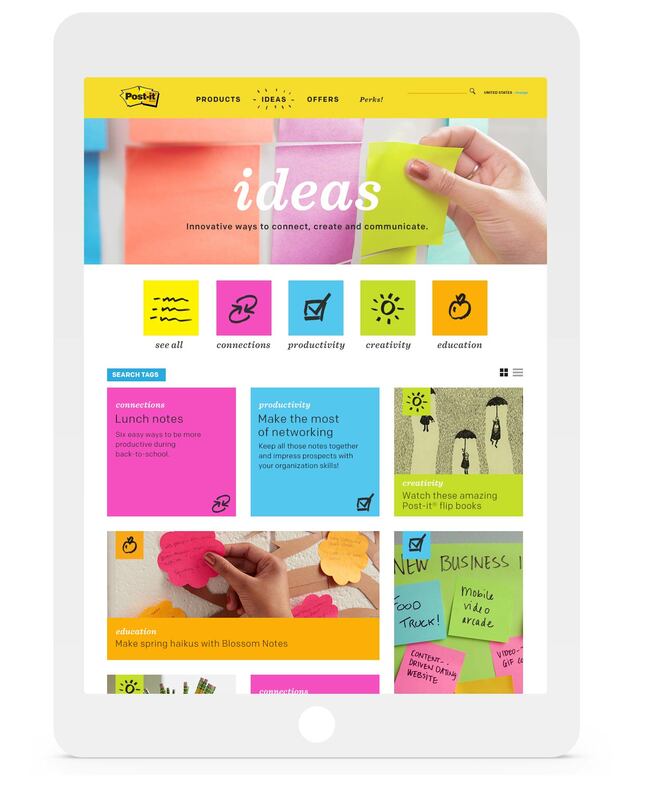 One of the world’s most iconic brands, Post-it®, wanted to further position itself as a modern collaboration platform. 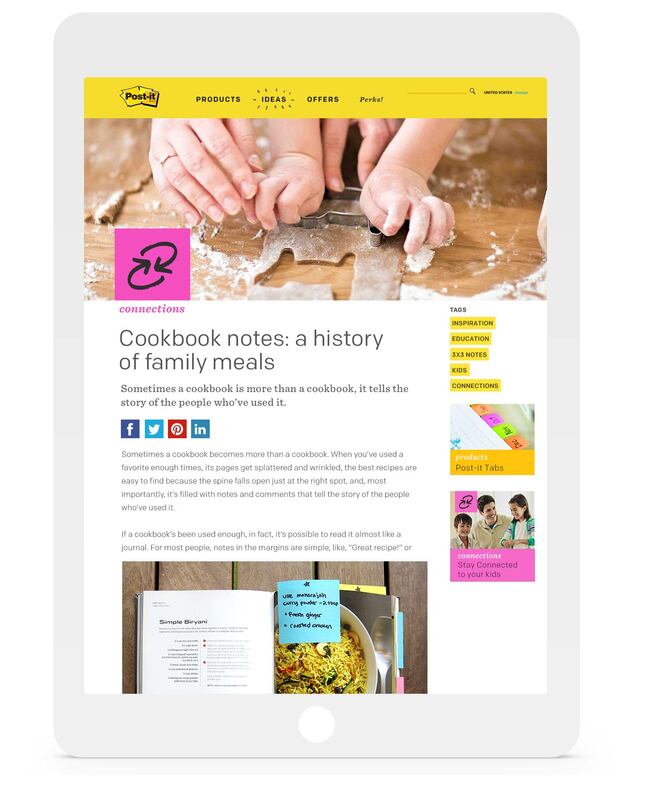 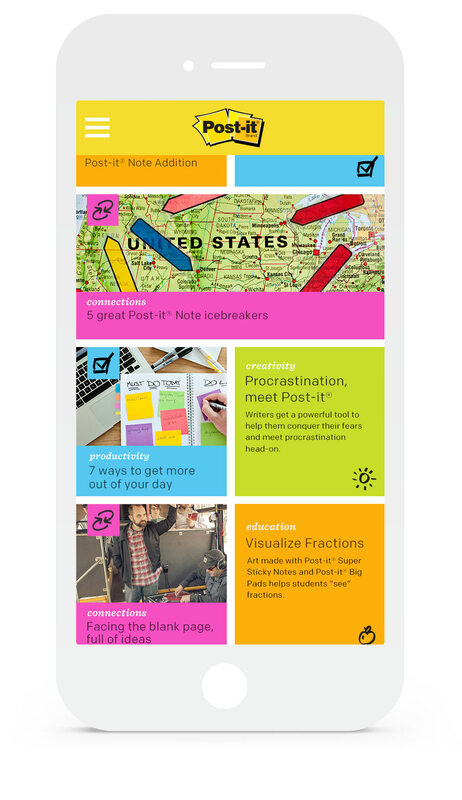 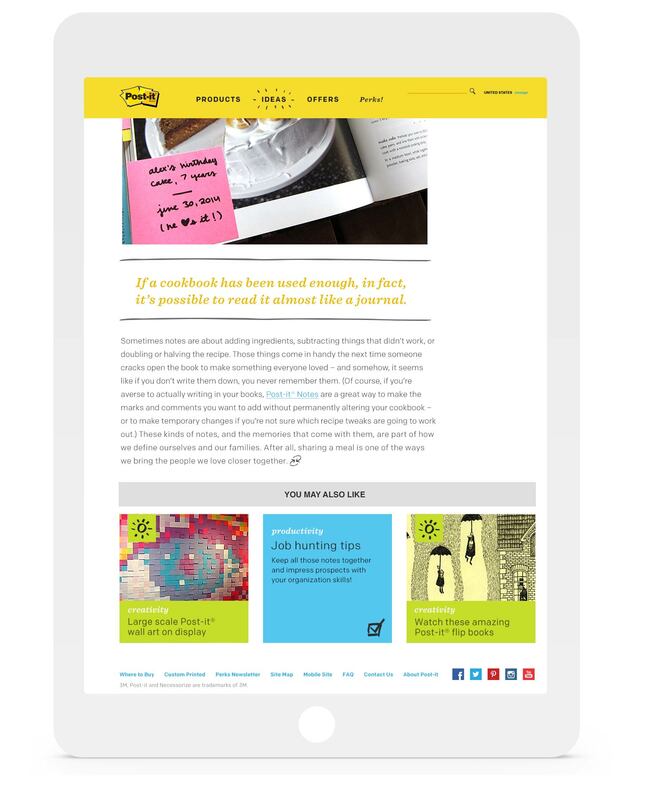 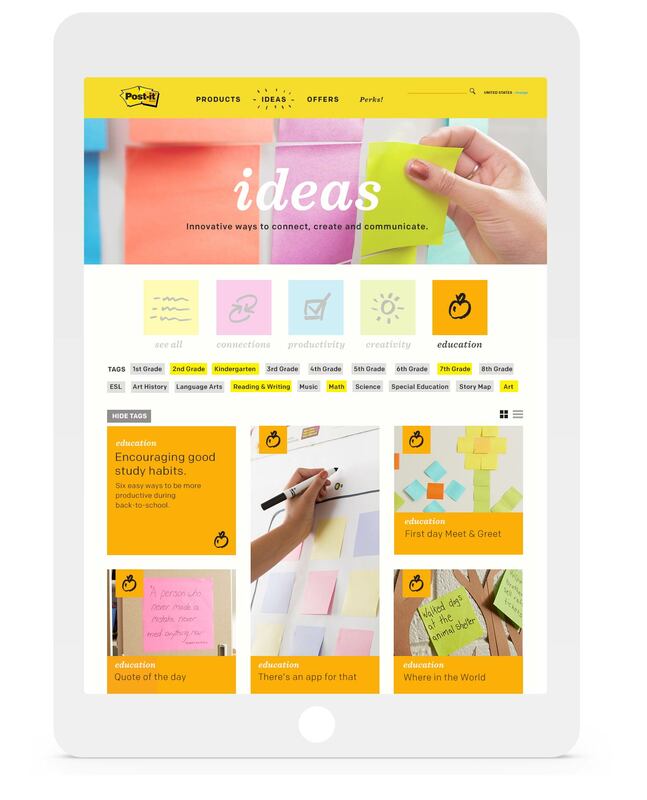 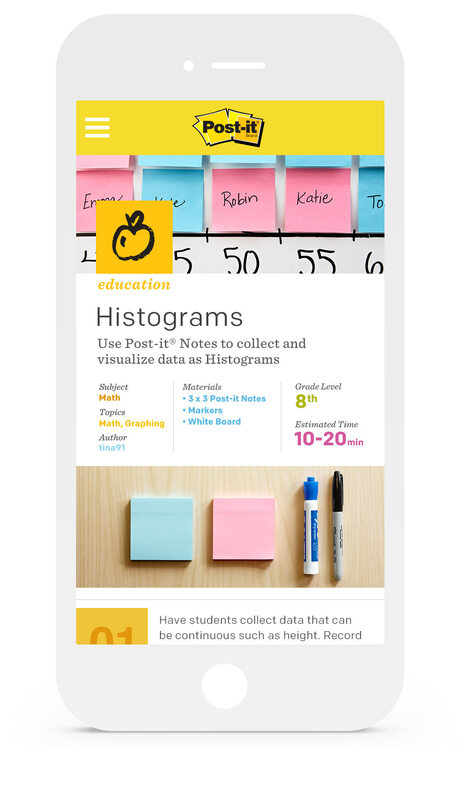 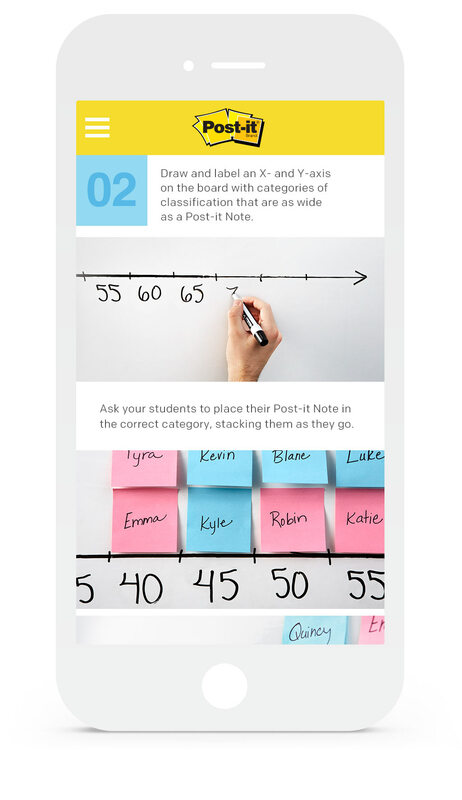 The result was a revamped web site which served as a content hub showcasing the many ways Post-it® products are used, divided into four subcategories: Education, Creativity, Connection, and Productivity. 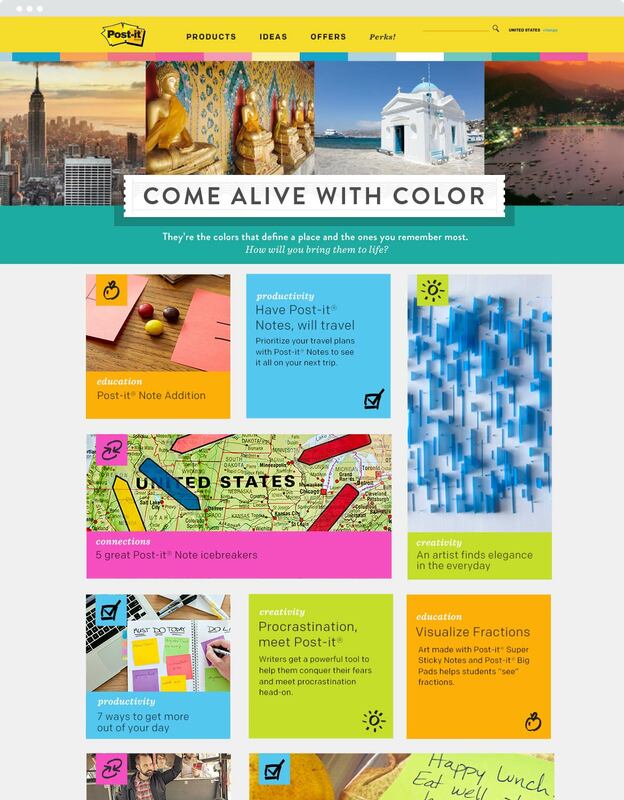 In addition, a new visual brand language was established, including color palette, typography, iconography, and a more authentic photography style that showcased the product and how it was used.